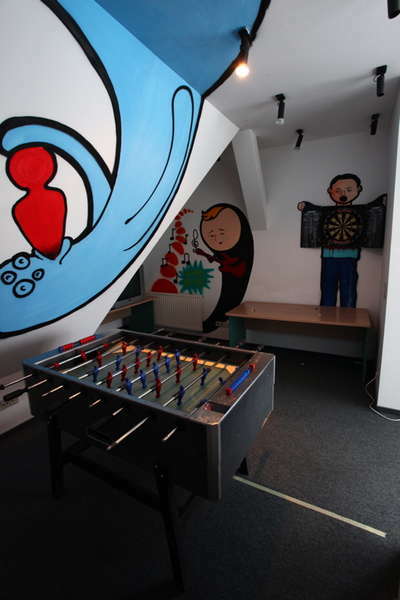 Vitae is the hostel with facilities, ambience, and soul! If you want something more from a hostel than just a bed, from the people who work and live there, if you want a community, an experience, and an atmosphere bursting with creativity, excitement and fun... welcome to Vitae, welcome to real hostel life. 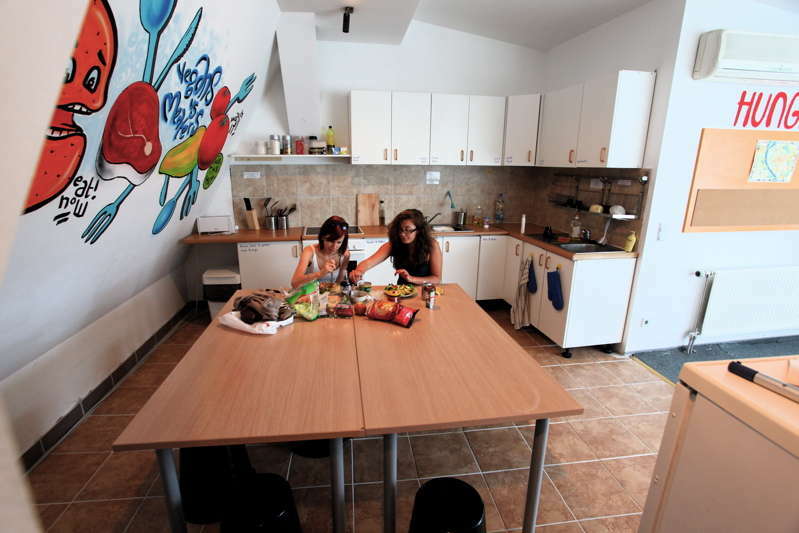 As part of the Budapest Party Hostels' Brand we are the least wild of the four, we still go out every night drinking, but also offer you a range of different options, and have a great environment with chill areas if you want to stay in too. We offer clean, bright spacious rooms, with hard to beat security and the real difference, attentive and caring staff who actually take an interest in all parts of your stay in Budapest. 60% of our total floor space is sociable space so that there is a ton of room for you to chill, play games, meet people or watch movies. We have 3 large modern kitchens, for you to cook for yourself or for us to cook for you, as we have in house cook-ups almost every night for just the cost of the ingredients. 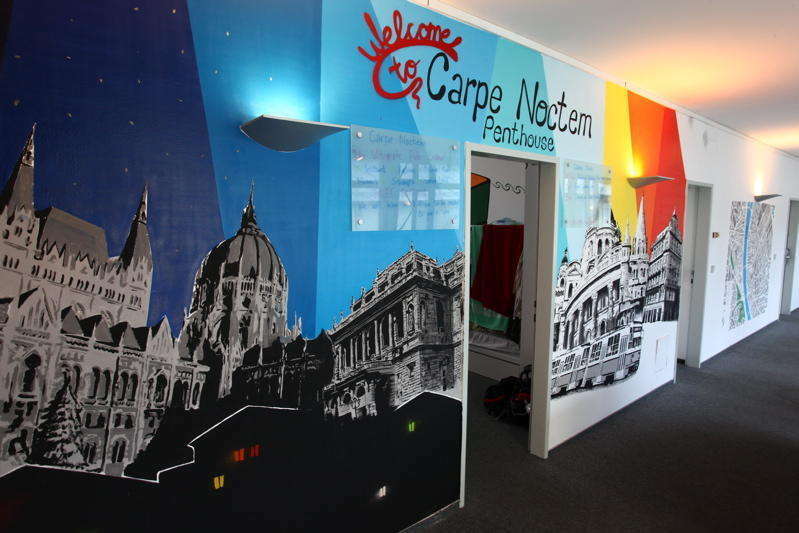 We know that Budapest is not just about tours, castles and churches which is why we organise something every night with a group program, but we also can suggest other cultural or party ideas for you as we like to keep a finger on the pulse of what is going on in the city. If for any reason you are not interested in the evening event we plan, don't worry as we can tell you a host of other things going on in the city. Unfortunately we do not have an obvious sign outside the hostel so please make sure that you know the address (Erzsebet korut 50) and buzz 25 on the keypad.